Nov 10, 2015 We strive to provide a high level of service to our clients. We recommend the best way for clients to increase and protect their wealth, however, there will always be a certain level of risk when investing which sometimes doesn’t turn out the way you want it to. Our fully qualified advisers strive to deliver solutions that will garner the greatest returns for our clients wherever they choose to live in the world. My experience with Holborn Assets in Dubai is very negative. They advised me to invest in a fund scheme and a pension with very high fees, both of which involved a locking money in for years and big penalties for withdrawing the funds. The only reason they push these products is for large commissions. Due to the high fee rates being charged (up to 3%), they have to invest in more high risk funds to make a reasonable return. People who think that are getting a good service, don't understand how much more money they are losing from the heavy fees and commission! 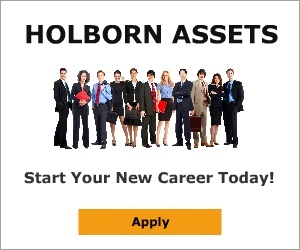 There are lots of websites that have bed reviews for Holborn Assets - search for yourself. I blame myself for not doing a thorough check of their credentials. To sum it up they are a talentless set of thieves. I didn't like: Bad financial advice. Review #588552 is a subjective opinion of User588552.